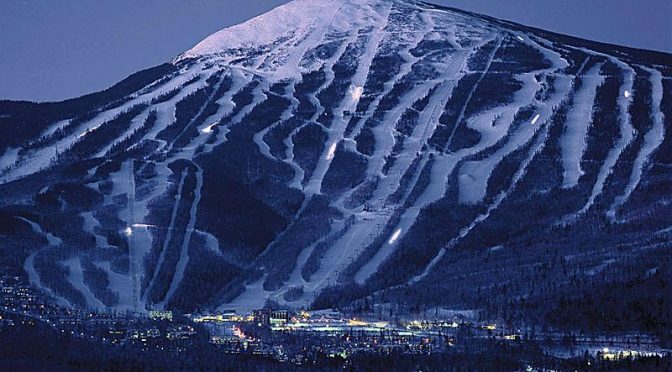 Carrabassett Valley, ME – The best ski racers in the country will hit the slopes at Sugarloaf this season for the 2017 U.S. Alpine Championships March 25 – 28, 2017. 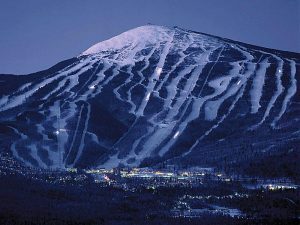 It will be the Maine ski resort’s sixth time hosting the Championships. Sugarloaf will also play host to the newly instated U19 and U21 Junior National Championships, taking place immediately after the U.S. Championships. The U.S. Championships are a vital part of the U.S. Ski and Snowboard Association’s (USSA) national development program, pitting top club athletes from regional teams around America against U.S. Ski Team veterans from the Audi FIS Ski World Cup tour. Sugarloaf, along with Carrabassett Valley Academy, has long been a hotbed of ski racing and the development home of stars like Olympic champion Bode Miller and up-and-comer Sam Morse. The new U19 and U21 Championships provide skiers in those age groups with two days of additional giant slalom and slalom competitions. Awards will be given for both the U19 and U21 age groups. The super G junior national champion will be crowned as part of the U.S. Championships super G event on March 25.